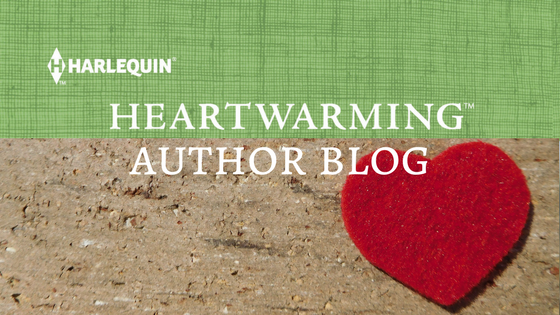 What's Next for the March Heartwarming Authors? The rest of 2018 is going to be jam-packed for Melinda Curtis, Kim Findlay, Anna J Stewart, and Amie Denman. We thought it would be fun to share what's next on their schedule so keep reading to see what's on the horizon for March's authors. If you enjoyed CROSSING THE GOAL LINE, watch for the second in Kim's Hockey Romance HER FAMILY DEFENDER out in May. Hockey star Troy Green never gives up. Not on the ice. not when he battled cancer last year. And not when it comes to his new neighbor, Michelle Robinson. 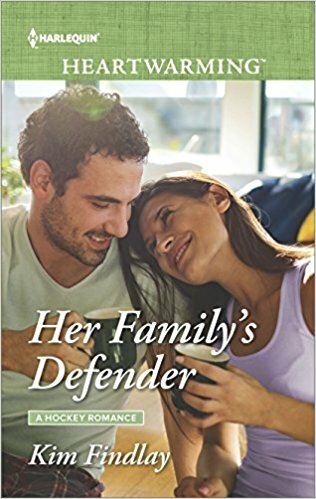 Troy only wants to help the struggling single mom and her sweet kids, but soon he's falling for her. Is Troy finally ready to trade in his bachelor life and become a family man? Watch for Amie's next release, IN LOVE WITH THE FIREFIGHTER in July! Moving to Cape Pursuit, Virginia, gives Nicole Wheeler the fresh start she desperately needs. But there's a catch: Kevin Ruggles, the handsome firefighter who welcomes her to town. Kevin is brave, ambitious, and committed to the same career that killed his brother. Nicole can't go down that path again...no matter how much her heart protests. It's amazing what happens when authors room together at writers' conferences. Bonds are formed, memories are made, laughter is endless...and ideas bloom. Or maybe that's just what happens when Melinda Curtis, Anna J Stewart, Cari Lynn Webb, Amy Vastine, and Carol Ross room together: a Heartwarming continuity series called RETURN OF THE BLACKWELL BROTHERS is born. 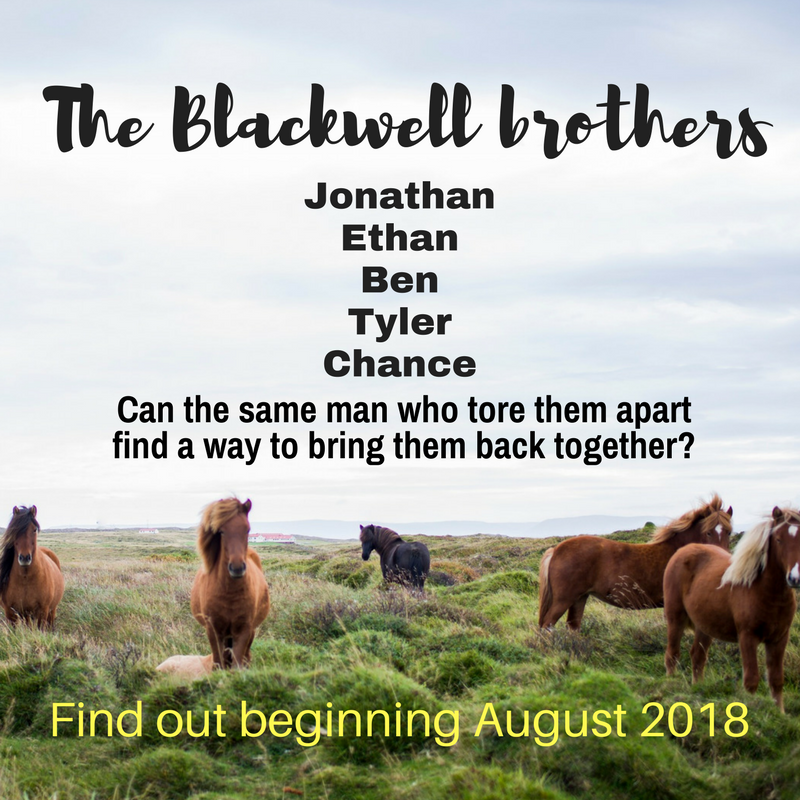 We are so excited about this five-book mini-series featuring the Blackwell brothers of Falcon Creek, Montana, a fictional town the five of us created. The brothers are coming back...whether they want to or not. The series will launch in August with Carol Ross's THE RANCHER'S TWINS, followed in September by Cari Lynn Webb's THE RANCHER'S RESCUE. October will bring readers THE RANCHER'S REDEMPTION by Melinda Curtis and Amy Vastine's THE RANCHER'S FAKE FIANCE will arrive in November. Anna J Stewart will close out the series in December with THE RANCHER'S HOMECOMING. 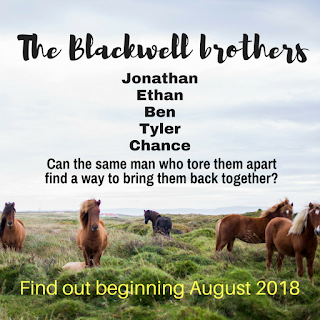 From a purely selfish perspective (she's never written a cowboy hero before), Anna purposely chose the black-sheep of the Blackwell family. Chance Blackwell missed the cowboy gene completely and has spent the past ten years pursuing his dreams in the music industry. But as much as he hates the Blackwell Family ranch, it's time to go home. If only to say good-bye one final time. How about a sneak peek? Shhhh....don't tell anyone! “Oooooh, Daddy! Look! Horsies! They’re everywhere!” Rosie’s excited squeal from the back seat of the minivan announced his daughter was wide awake. After four days on the road—because making the twenty hour trek from L.A. in one stretch would have been a recipe for disaster—he was ready for a break. Given Rosie’s ear-splitting tantrum at the motel last night, he wasn’t the only one. Not that Falcon Creek, Montana, was going to give him anything close to a respite. Driving through town had already been like sliding through a time portal. Near as he could tell, nothing had changed. Other than a new coat of paint on the diner, new planks on the walkways. A shiny new sign over Brewster’s. Sure there were some new businesses and shops and undoubtedly new people. Everything else…Exactly. The. Same. “I think they’re a bit too big for you, Bug.” He glanced in the rear view mirror. His heart swelled at the excitement shining in his little girl’s eyes. “But I bet Aunt Katie will be able to find you the perfect pony.” Katie had always been magic with horses. “We’ll have to see.” Chance winced as the headache throbbing in the back of his head shifted to his temples. He’d run out of coffee—and thus caffeine—about two hundred miles ago and judging by the ache in his jaw, he’d grind his teeth to dust before they reached the ranch. “For as long as we’re here at least, I think we can work something out.” Chance shifted his attention back to the endless dirt road. He slammed his foot on the break. Rosie squealed as if they’d just taken a dip on a roller coaster. Chance’s hands gripped the steering wheel as his heart hammered in his chest. The iconic gateway to the Blackwell Family Ranch loomed overhead. Its rusted, weathered sign—nearly as old as the ranch itself—welcomed visitors and guests. And nearly had Chance turning around and heading home. Nausea churned in his stomach. What was he doing here? “Do that again, Daddy!” Rosie ordered. “Once was enough.” He powered down his window and allowed himself his first breath of Montana air in more than a decade. The combination of pristine oxygen, green grass, and ozone from last night’s storm hung slightly tinged with manure and hay. Or maybe that was just his mind playing tricks on him. It had taken him years to forget the smell of the ranch; as if it had seeped into his blood the day he’d been born. He shifted the van into park and unhooked his belt. “Are we here?” Rosie shifted in her seat, turning her head so fast her red curls slapped her cheeks. “Almost.” He never should have told her they were going to visit her grandfather. It seemed every word out of Rosie’s mouth in the two weeks since Ty had delivered his invitation of doom had been to ask about Maura’s father. Every word was like a knife to Chance’s heart. He couldn’t care less what Lochlan Montgomery thought of him. But if Ty was right, if the old man was dying, Lochlan deserved to see his only grandchild once before he met his maker. If for no other reason because it was what Maura would want. We hope you'll join us in Falcon Creek starting in August, 2018! Thanks for spending some of your Saturday with us! Sounds like a great story. Congratulations, all! A sophomore book (Kim), a new series (Amie), and a continuity (Anna and Melinda)! I love this idea of showing what's next. This should be a continuing piece of the blog. And speaking of continuing....the first ever HW continuity! I am soooo looking forward to this. I enjoy continuities because I get to discover new authors and read favorite ones. Plus, I think 5 books is the perfect number - not too short, not too long. I hope it's very successful so the editors will approve more. And I hope authors are interested too. Thanks, T.R and Marcie. Things are definitely looking bright for heartwarming books!! Have a great weekend! Can't wait for this new series! Congrats, all. All of the books listed sound so intriguing. I just need more reading hours in my too-short days. You and me both, Roz! Thanks for posting! Oh, a kitten...I'm so there. The series looks so exciting--best of luck! Thanks everyone, and congrats to my fellow March release authors! When I saw the kitten and the firefighter together on my cover, I was ecstatic. 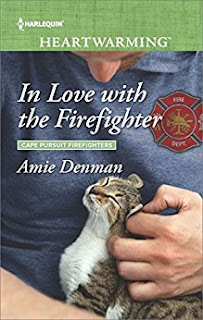 There is a scene in the book where my hunky firefighter rescues a cat, and I was delighted when the cover artists chose to feature that scene on the cover. I'm intrigued by the continuity series about the Blackwell brothers. Can't wait! Thanks for the updates--such great news all around. Best of luck with the continuity series. Oh, I love that excerpt. And all the covers and blurbs. This is going to be a wonderful year for Heartwarming readers! What fun!! Congratulations on the collaboration. And now over to our April authors!